Our list of the best sales tools that you need to make an impact. 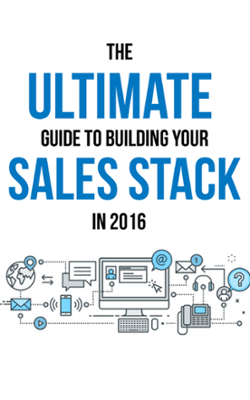 Download the Ultimate Guide to Building Your Sales Stack in 2016 to learn how to harness the latest sales technology to ramp up sales. The 4 benefits of an effective sales technology platform that will make your management and investors happy. The components of an integrated sales technology platforms with recommendations for your company. A 7-step process to build your sales technology platform .